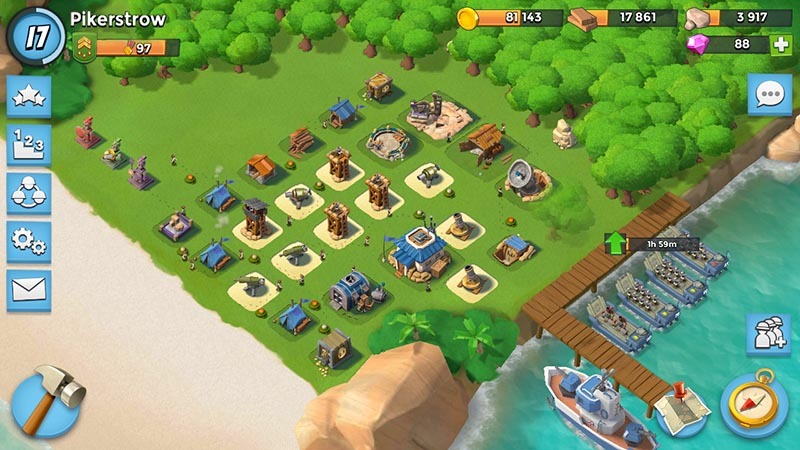 Defense base layouts | Boom Beach. 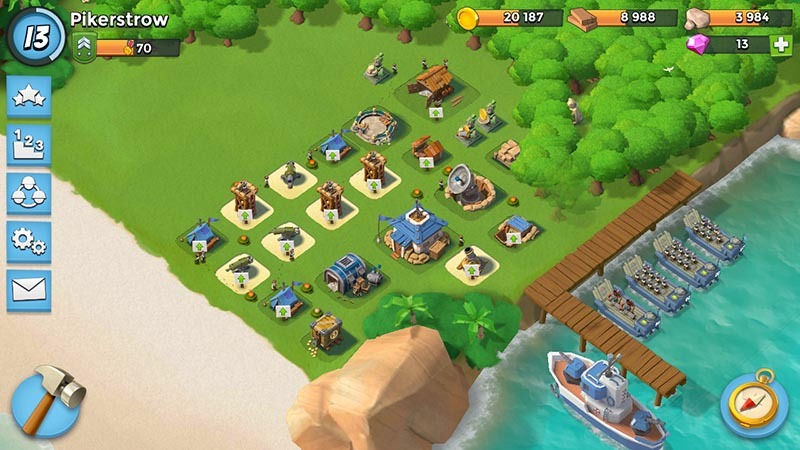 All about the Game! 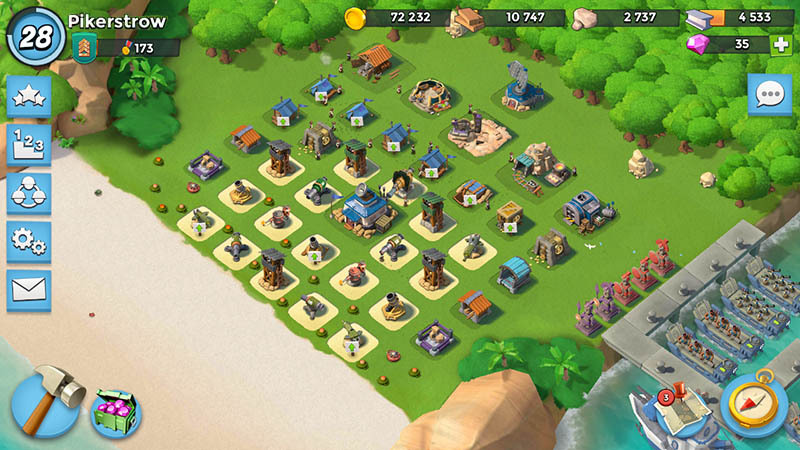 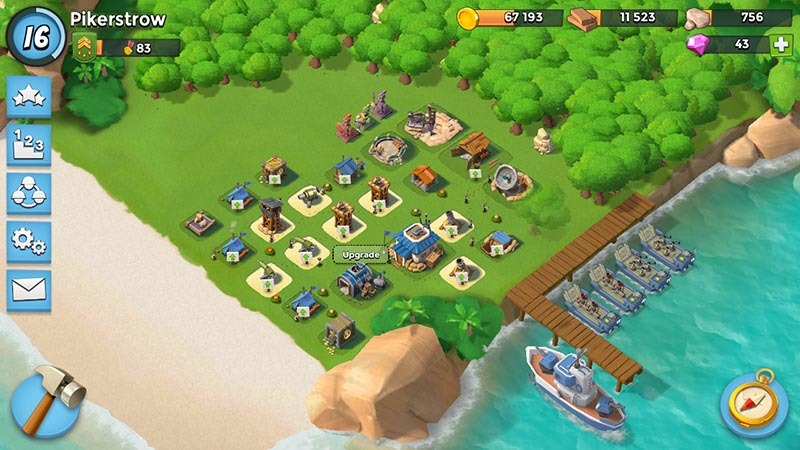 The correct chosen position for all buildings is a key to successful defense in Boom Beach. 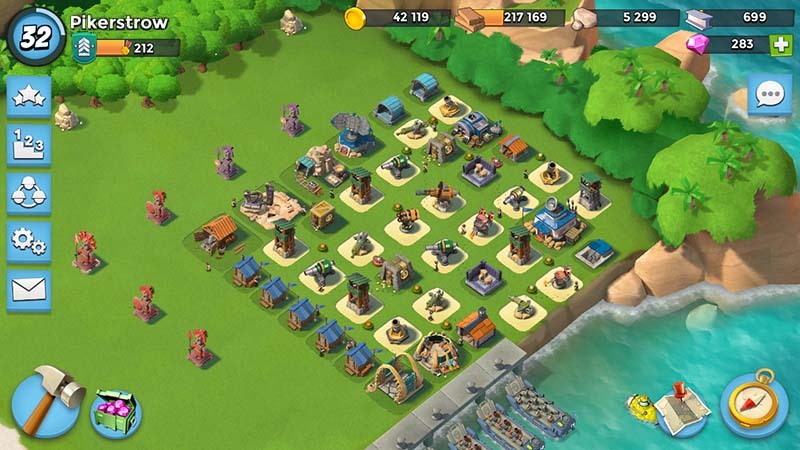 On this page I’ll share my experiences and try to show the best layout strategies for HQ different levels. 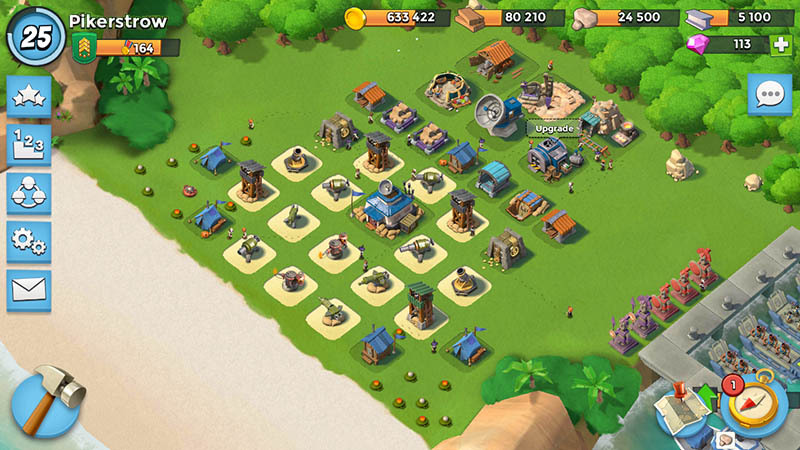 After upgrading the Headquarters to level 5 there are following defensive buildings available in the game: 3 Sniper Towers, 1 Mortar and 1 Machine Gun. 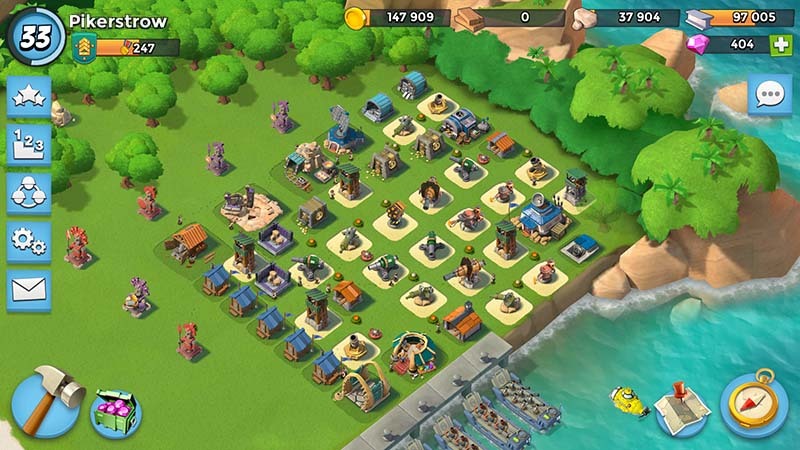 In general 5 units. 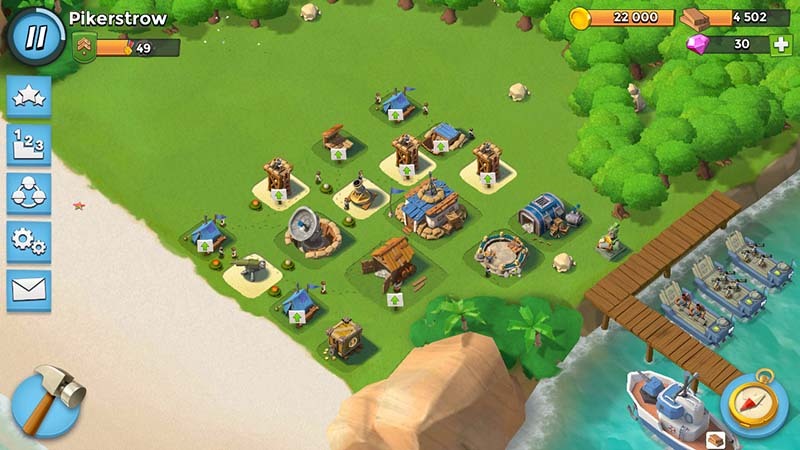 From the non-defensive buildings are available 3 Residences, the Vault, the Gold Storage, the Wood Storage, the Sculptor, the Sawmill, the Armory, the Radar and the Headquarters. 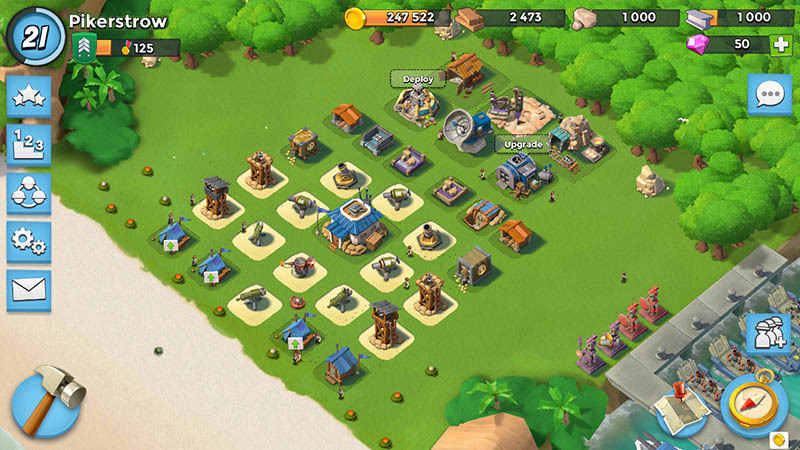 As you can see I placed all buildings into the radius of attack of at least one defensive weapon. 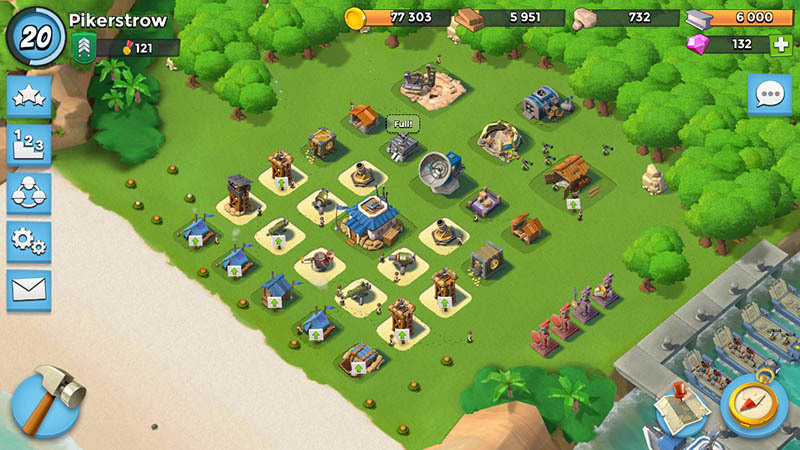 The only weak point of such position is the possibility of freely attack the Sawmill from the rear. 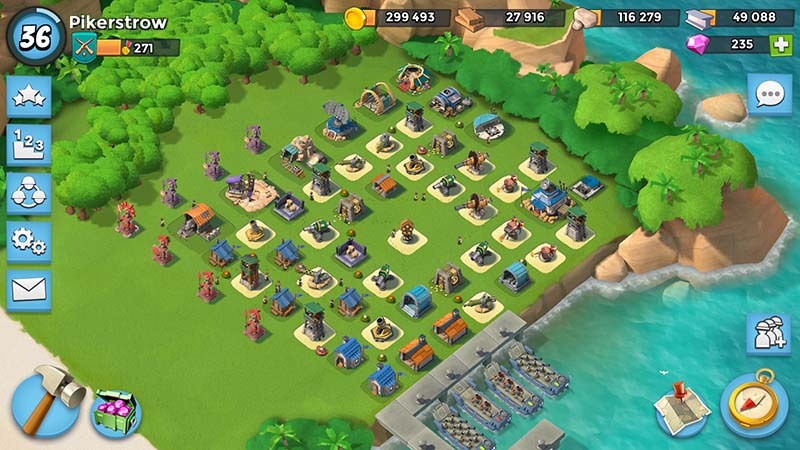 But the probability of such attack is low because on this stage of the game the Flare acts very short period of time and to send troops to the rear requires a lot of energy expenditures that is the unacceptable luxury.